As “market referees”, regulators contribute to the delivery of essential public utilities. The internal and external governance of regulatory agencies are essential to determining how regulators and the sectors they oversee perform. The OECD has developed an innovative framework that looks at the institutions, processes and practices that can enhance regulators’ performance. In this report, the framework is applied to the external governance of Mexico’s energy sector and its three regulatory bodies, the Agency for Safety, Energy and Environment (ASEA), the National Hydrocarbons Commissions (CNH) and the Energy Regulatory Commission (CRE), following a structural reform of the sector and its regulatory institutions. The review offers insights into the progress and challenges in the implementation of the reform, highlighting the importance of structured co-ordination and accountability mechanisms based on a common strategic agenda, alignment of processes for good regulatory outcomes as well as sufficient operational flexibility. The report is complemented by forthcoming reviews of the internal governance arrangements of the three regulatory agencies, constituting a comprehensive body of work on the regulatory governance of Mexico’s energy sector. 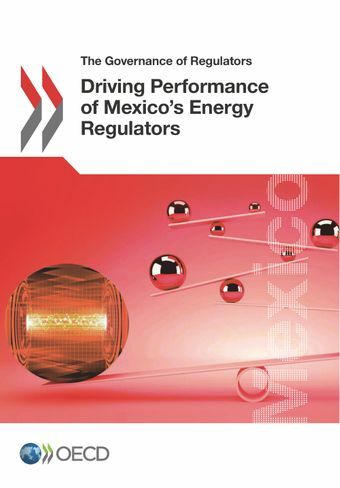 Following a significant reform of Mexico’s energy sector and its regulatory framework launched in 2013, the three sector regulators have successfully navigated the challenges linked to new functions and powers, as well as to interacting with a growing number of public and private sector stakeholders. The ambitious changes to the institutional context call for co-ordination among the various agencies. As the implementation of the reform progresses, there is a clear and urgent need to make the new governance infrastructure more effective, including the full operationalisation of the Co-ordinated Council for the Energy Sector (Consejo de coordinación del sector energético). The reform has created a need for a clear definition and communication of regulator roles and responsibilities as well as of results-based work programmes linked to their realisation. Their implementation should be accompanied by measuring and monitoring efforts. In addition to some of the strategies currently employed by the regulators, such as publishing annual reports on their websites or broadcasting board meetings online, trust, accountability and transparency could be enhanced by building more regular and formal relations with Congress to discuss activities and results. Regulator operations could be made more effective through increased flexibility in the management of financial and human resources. Currently the three agencies, despite their differing levels of autonomy, face cumbersome processes in these fields.